For the love of quality food, Winterlicious is one of the best reasons to emerge from hibernation in the dark depths of the Canadian winter. 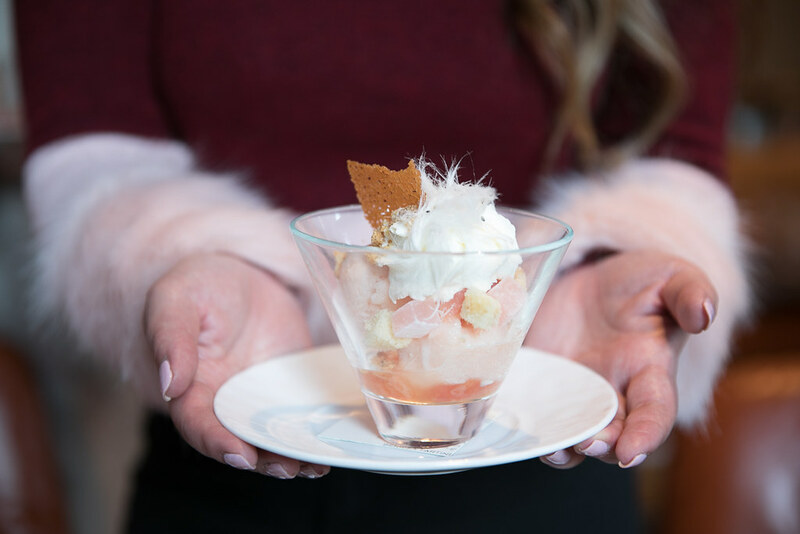 Offering a chance to indulge in some of Toronto’s best eats at a more accessible tab than regular thanks to a three-course prix fix menu, Winterlicious takes over the city January 26 to February 6, 2018. 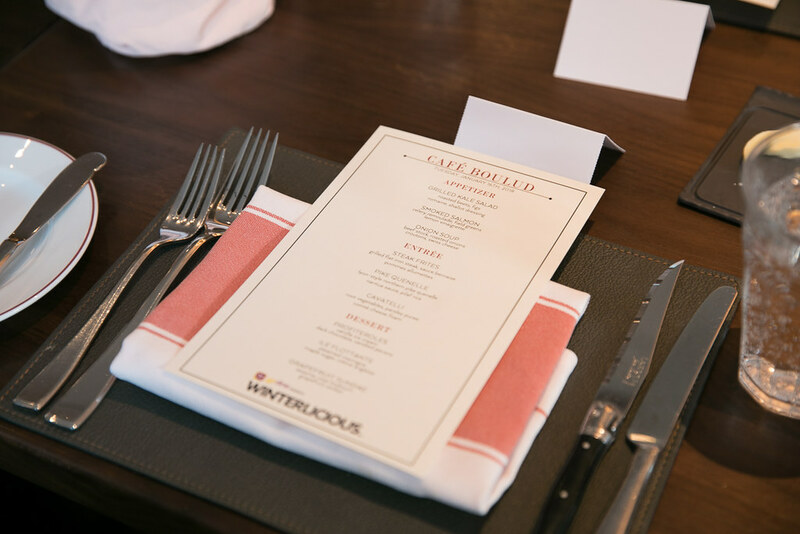 When we were invited to sample the Winterlicious lunch menu at Café Boulud in the Four Seasons Hotel, we immediately cleared our schedules. Filled with options that range from light and healthy, to completely comforting and indulgent, this menu is definitely going to be a hot ticket this season. Of course, Café Boulud – which has become a go-to for Toronto’s foodies looking to treat themselves, the stylish and deep pocketed set, and visiting celebrities alike – is a coveted French restaurant by New York-based celebrity chef Daniel Boulud. 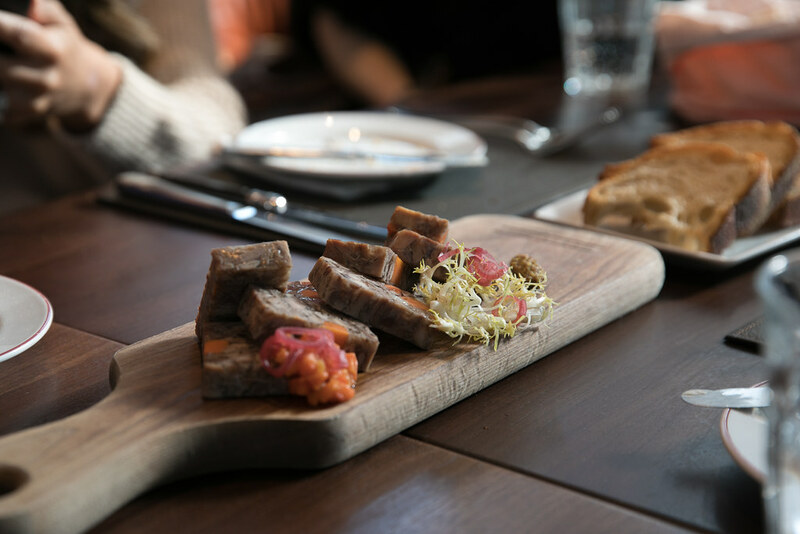 Appetizers on the $33 menu include a Grilled Kale Salad with roasted beets, figs, romaine, and shallot dressing; Smoked Salmon with celery remoulade, field greens, and lemon vinaigrette; or the Onion Soup, with beef stock, roasted onions, croutons, and Swiss cheese. A self-proclaimed connoisseur of French onion soup, my appetizer choice was a natural one and one that didn’t disappoint. It differs from most onion soups in that it was served with a cheese-covered crostini on the side as opposed to on top, which was naturally made all the more enjoyable when crumbled over the comforting, onion-filled soup, which leaned on the sweet side. 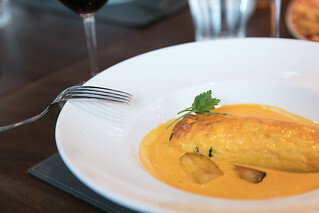 Lunchtime mains include the choice of a hearty Steak Frites, a grilled, juicy flat iron steak served with béarnaise sauce and (highly addictive) pommes frites; a lyon-style northern pike quenelle with nantua sauce and pilaf rice; or – for the vegetarians – the Cavatelli pasta, with root vegetables, parsley puree, and (perhaps most importantly) a compte cheese foam. I opted for the Steak Frites (clearly, the January diet went out the window), knowing full well that if I was going to take the rare occasion to enjoy some quality red meat, it should be here. 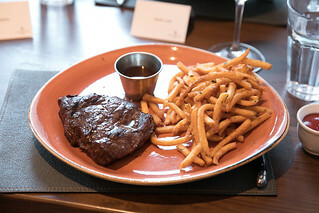 Served medium rare, the steak was worth every bite; and I’m convinced they put something in the roughly a million fries that graced my plate (and ketchup, actually) to make them completely impossible to stop eating. Some of the spot’s most beloved desserts also made the Winterlicious menu. 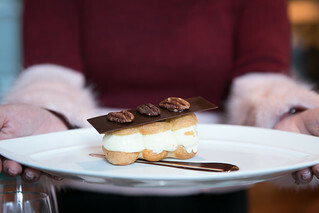 This means spins on favourites like the Profiteroles (shown above), a dreamy dish served with vanilla ice cream, a rich dark chocolate sauce, and candied pecans, and the palette-cleansing Grapefruit Sundae (sesame halva, rose loukoum, and grapefruit sorbet). 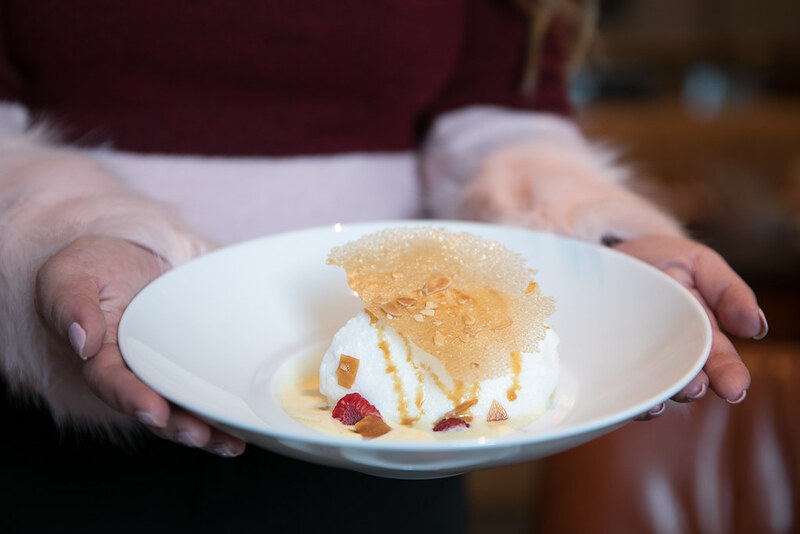 Another equally as sweet and satisfying dessert is the Ile Flottante (steamed meringue, maple sugar, and crème anglaise). To accompany the meal, if there was ever a time to order wine with lunch, it’s at Café Boulud during Winterlicious (unfortunately, you won’t get a discount on this, but you can choose from the spot’s extensive, splurge-worthy wine menu). The wine list includes selections from classic French appellations, Mediterranean producers, and some of North America’s finest. Word of advice: Reservations are highly recommended (as in, you should probably make them immediately).